Below you fill find all funeral homes and cemeteries in or near New Sharon. Suburbs of New Sharon: Lacey, Taintor, Union Mills. 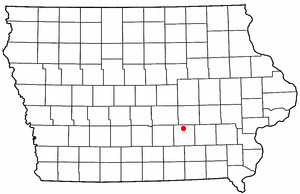 New Sharon is also known as: Mahaska County / New Sharon city. Zip codes in the city: 50207. Some of the notable people born here have been: (altus lacy quaintance). New Sharon is a city in Mahaska County, Iowa, United States. The population was 1,293 at the 2010 census. It was noted by Hastings Tribune on February 28th, 2018 that Louis L Crago died in Harvard, Nebraska. Crago was 74 years old and was born in New Sharon, IA. Send flowers to express your sorrow and honor Louis L's life. It was written by Des Moines Register on August 24th, 2017 that Allen Lee McReynolds passed on in New Sharon, Iowa. McReynolds was 69 years old. Send flowers to share your condolences and honor Allen Lee's life. It was noted by Des Moines Register on July 30th, 2017 that Kenneth E Broughton passed on in New Sharon, Iowa. Broughton was 66 years old. Send flowers to share your condolences and honor Kenneth E's life. It was written by Hastings Tribune on May 2nd, 2017 that Nolan B Crago died in Hastings, Nebraska. Crago was 75 years old and was born in New Sharon, IA. Send flowers to share your condolences and honor Nolan B's life. It was disclosed by Des Moines Register on April 6th, 2017 that Jacob Van'Tsant passed away in New Sharon, Iowa. Van'Tsant was 15 years old. Send flowers to share your condolences and honor Jacob's life. It was revealed by Des Moines Register on February 26th, 2015 that Leona Vanwyk passed on in New Sharon, Iowa. Vanwyk was 86 years old. Send flowers to express your sympathy and honor Leona's life. It was disclosed by Estherville Daily News on November 29th, 2014 that Mark Wesley Howe passed on in New Sharon, Iowa. Howe was 59 years old. Send flowers to express your sorrow and honor Mark Wesley's life. It was noted by Estherville Daily News on November 29th, 2014 that Mark Wesley Howe perished in New Sharon, Iowa. Howe was 59 years old. Send flowers to express your sorrow and honor Mark Wesley's life. It was disclosed by Des Moines Register on May 18th, 2014 that Grace Mason passed on in New Sharon, Iowa. Mason was 90 years old. Send flowers to share your condolences and honor Grace's life. It was revealed by Des Moines Register on March 29th, 2014 that Merlin Spoelstra passed away in New Sharon, Iowa. Spoelstra was 44 years old. Send flowers to express your sorrow and honor Merlin's life. The population was 1,301 at the 2000 census. New Sharon is a city in Mahaska County, Iowa County, Iowa, United States. . . .
Paul Nelson, 65, of Pipestone, died Tuesday, Nov. 2, 2010, at Avera Heart Hospital, Sioux Falls, S.D. Surviving are his wife, Sharon ... Burial will be in New Woodland Cemetery, Pipestone. Hartquist Funeral Home, Pipestone Chapel, is in charge of arrangements. Holland, Brent - Harden Funeral Home, New Sharon, IA : Reviews and maps - Yahoo! Local, 641.637.2811. Get Ratings, Reviews, Photos and more on Yahoo! Local. We work with local florists and flower shops to offer same day delivery. You will find budget sympathy flowers in New Sharon here. Our funeral flowers are cheap in price but not in value.